Thanks to LittleWhiteMouse, NA Contributor, for making this huge article on consumables. If you are an avid player of World of Warships, this is a must read. If you are a newbie in World of Warships, this is a must read also because it will explain everything you need to now about consumables. Enjoy. Let’s start with the consumables that don’t change. These are it. Engine Boost is the same for every destroyer in the game and is (at present) only found on that type of ship. Spotter Aircraft have the same duration and reset timer regardless of ship type. They all provide a flat 20% range boost to the ship that launched them with their primary battery They may have different survivability by tier but I was unable to pull that information. If you know differently, please let me know. Lastly, Torpedo Acceleration is a bit of an odd duck. Currently, it’s only available on two ships: The Hatsuharu and Kagero. It is identical on both ships and, as they are both IJN, it’s impossible to tell if it would have different values across other nations. It doesn’t vary by tier. This is the first consumable players will encounter, found on their tier 1 cruisers. When this consumable is activated, it remains active for a set period of time. During this active period, all critical damage is negated. Fires are put out. Floods are plugged up. Knocked out modules such as damaged (but not destroyed) primary batteries, steering gears and engines are restored. The active period for Damage Control Parties is standard for most ship classes except Battleships which vary considerably, with national preferences creating a bias towards some nations. The reset timers are different across most classes. And just when you think it all makes sense, the HMS Warspite breaks the mould entirely. Damage Control Party Active duration, reset timer and premium reset timer per ship type. The next consumable players encounter will be their Smoke Generators and Engine Boosts found on tier 2 Destroyers. The values of Smoke Generators vary greatly between tiers. Smoke generation is largely taken for granted with few players appreciating how the mechanics work. This leads to a lot of misunderstanding with spotting mechanics. Smoke has three phases. The first is the period when it is being actively emitted. The second phase lasts from the moment the smoke cloud is generated to when it dissipates. The third is the reset timer on the consumable. Note that there is some overlap between these three phases. The reset timer on all Smoke Generators is universal, regardless of tier, nation or class of vessel laying down the smoke. This is 240s for a standard consumable, 160s for a premium consumable. Hands down, American (and American derived) ships have the best values for their smoke generators. They not only generate more smoke (with a longer emission period), this also increases as the USN ships climb in tiers. All other destroyers have a static emission period. The amount of time the smoke lasts increases for all nations, with Americans having an enormous lead. One off premium ships tend to follow the IJN & VMF standards unless the ship was derived from an American vessel. The Iwaki Alpha which has its own strange values. Smoke set times and duration, per tier and ship type. Repair Party is usually encountered at tier 3 for most players (despite the Mikasa having access at tier 2). Repair Party mechanics deserves it’s own thread but I can summarize here. As a ship takes damage, a certain portion of this damage enters a pool which can be recovered through the use of the ship’s Repair Party. How much damage enters to pool depends upon the damage’s source. This also varies between ship classes. 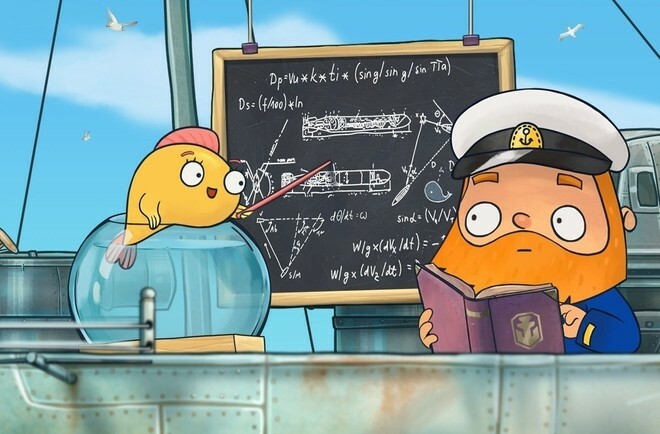 A single charge of a Repair Party restores damage from this pool up to a maximum of 14% of the ship’s original, unmodified health (0.5% per second for 28s). So a ship with 50,000 max HP would normally restore up to 7,000hp with a single charge. The Reset timer is universal across all ship types with a 120s / 80s reset timer between standard and the premium consumable. 100% of all over penetrating AP hits. 100% of all ramming damage. 100% of all flooding & fire damage. 50% of penetrating HE, AP, Bomb & Torpedo* hits. 10% of any hits to her citadel, including HE, AP, Bomb & Torpedo hits. 30% of any hits to her citadel, including HE, AP, Bomb & Torpedo hits. There are a couple of exception in the game presently. The first is the HMS Warspite — who’s really weird when it comes to her Repair Party. She heals up to 16.8% of her maximum HP pool per charge instead of 14% (0.6% per second for 28s). She also can repair more damage from penetrating hits. Note that contrary to some reports, she cannot heal back more than 10% of citadel damage. 60% of penetrating HE, AP, Bomb & Torpedo* hits. (*) Note for torpedoes, their explosive blast is rather large and the majority of hits striking a ship except at the very extremes may damage the citadel. The second is the USS Colorado. Rather than the 250.5hp per second (7014hp per charge), she heals back 330hp per second (9240hp per charge). This is a higher raw value than the Warspite (almost 30%) but it doesn’t come paired with the ability to create a larger damage pool from which to heal. She conforms to all of the normal Repair Party tropes otherwise. (Special thanks to mrh308 for reminding me!). This was, famously, one of the first consumables whose difference between nations became common knowledge. This first becomes available to cruisers at tier 4. It can be found at higher tiers on a variety of classes, including the rare destroyer and high tier German Battleships. German Warships gain 2s per tier and increase by a range of 90m per tier for torpedo acquisition and 150m per tier for ship acquisition. For the other nations, their duration remains static until tier 6 where they also gain 2s duration. Their range increase is 150m per tier for torpedoes and 240m per tier for ships. The reset timer is universal across all nations at 3 minutes for the normal consumable, 2 minutes for the premium version. Hydroacoustic Search active time and acquisition range bonuses, per ship type and tier. This becomes available for select ships as early as tier 4 with the IJN Yubari, but doesn’t become commonplace until tier 6 for most cruisers. In addition, carriers of tier 8 and higher have a long-lasting version with a very long reset. Overall, the Americans really win out with Defensive Fire, getting an extra charge for free. The USN Destroyers also gain access to this consumable at tier 5 and above provided they use their final hull upgrade and swap out their Engine Boost consumable. Yubari: 40s duration, 3 / 2 minute reset timer, 1 charge. Cruisers: 40s duration, 3 / 2 minute reset timer, 2 charges. USN Cruisers: 40s duration, 3 / 2 minute reset timer, 3 charges. Atlanta & Flint: 40s duration, 3 / 2 minute reset timer, Unlimited charges. USN Destroyers: 30s duration, 3 / 2 minute reset timer, 2 charges. Carriers: 120s duration, 6 /4 minute reset timer, 1 charge. The attack and defensive values for Catapult Fighters vary greatly between nations and tiers. The duration and reset timers are standard, however, with a 3 minute / 2 minute waiting time between recovery and launching the next. The active period for all Catapult Fighters is 6 minutes. Note the capacity of the ship varies between classes and types and seems representative of their historic hangar capacity and can vary wildly even between tiers. Note that the Soviet Cruisers do not have access to a Catapult Fighter on any of their ships. In general, the German float plane fighters perform the best at high tiers and the IJN and middle tiers. Float Plane Fighter survivability and attack power between tiers and ship types. The most recent consumable to be added to the game, radar is a highly coveted but largely over-hyped ability. Those that haven’t used it regularly believe it to have the ability to level the playing field at the touch of a button. Those that have played with it regularly understand that it is very short ranged and very short lasting, making the demand for this consumable far outstrip its availability. So far, only American and Soviet cruisers have access to Radar, starting at tier 7 with some premiums. In general, the Soviet radar is longer ranged but with a much shorter duration. The American radar increases and range and duration as you ascend the tiers. Radar duration and range, per nation and tier. Damage Control Party: America — US Battleships have the longest active period for their Damage Control Parties. Though a case could certainly be made for the Warspite. Smoke Generators: America — US Smoke launchers emit for longer and last longer. Defensive Fire: America — USN Cruisers have an additional charge (and sometimes unlimited). Their Destroyers can also use this consumable. Radar: America & USSR (tie) — USN Radar lasts longer, the Soviet radar is longer ranged. Engine Boost: Parity — There is no difference between any of the nations or tiers. Spotter Aircraft: Parity — There is no difference between any of the nations or tiers. Repair Party: United Kingdom — The HMS Warspite’s Repair Party heals back 20% more health and she can recover 20% more from penetrating hits. The Colorado is a close second. Hydroacoustic Search: Germany — German Hydroacoustic Searches have a longer range and duration. Catapult Fighter: Japan & German (tie) — Japan has the best mid-tier catapult fighters. Germany overtakes them at high tiers. Torpedo Acceleration: Japan — Japan is the only nation with this consumable. Default! Default! Default!